Songwriter says: Rx is the record that has consumed my world for the past three years. Everything about it received so much thought and attention to detail. It’s a project that turned out different and better than I could have ever imagined. I leaned on creativity and ran from complacency. It taught me about myself and somehow made me love music even more than I already did. I owe so many people for lending their talent to this record and I can’t wait to see what happens next. 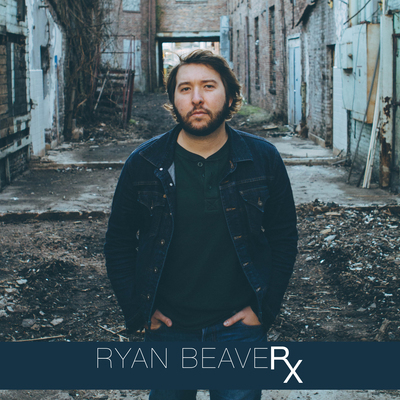 Rx, which Beaver co-produced with longtime compadres Jeremy Spillman and Ryan Tyndell (both of whom have worked with Eric Church, Nikki Lane, and Little Big Town), makes it abundantly clear why Ryan Beaver has already been widely acclaimed as an artist to watch. Rolling Stone recently named him one of “10 New Country Artists You Need to Know,” and he’s received acclaim from the likes of Lee Ann Womack, Maren Morris, Kacey Musgraves and Ashley Monroe, with whom he’s toured as an opening act. Late last year, Stereogum premiered his single “Dark” and called it “the strongest country song I’ve hear all year.” The track became the imputus for the writing and recording of the album, and stemmed from a challenging time in his life when he lost his grandfather, a close friend, a subsequently a relationship in a short period of time. Country music has always loved its cowboys and cowgirls. Their fashion has been celebrated on-stage, with razzle-dazzle, rhinestone-bedecked renditions of ranch wear (see: the handiwork of Nudie and Manuel), and in the audience, when, during the Urban Cowboy phenomenon, modern western attire found its way to country dance clubs in big cities. Countless country stars, Patsy Montana, Sons of the Pioneers, Marty Robbins and Reba McEntire among them, have immersed themselves in the role of a cowpoke. Even more have conjured the rugged, lonesome romance of gunslingers, steer-wranglers and bronco-busters in songs they’ve sung, including Jessi Colter, Waylon Jennings, George Strait, Garth Brooks, the Dixie Chicks, Brooks & Dunn and Randy Houser, who landed a portrayal of a saddled-up, strong and silent type on the charts just last year. “Horse” concludes Beaver’s new album, RX, with stark, demo-like vulnerability; his voice cloaked in cavernous echo, his accompaniment consisting of plain, whole-note chords on piano and guitar. Beaver lingers over the ballad’s melody with a bristly sense of regret, landing midway between drawling and crooning. The remainder of the dozen tracks perform similarly visceral emotional work, albeit with a livelier combination of Music Row proficiency, singer-songwriter/ roots-rock earthiness and digital punch. RX is out on May 6 on St. Beaver Music. On May 6th, Nashville’s Ryan Beaver will release his much-anticipated new album Rx. Today, Ryan shares “Fast,” the second song to be released from Rx, which premiered yesterday at Yahoo Music. Rolling Stone recently named him one of “10 New Country Artists You Need to Know,” and he’s received acclaim from the likes of Miranda Lambert, Lee Ann Womack, Maren Morris, Kacey Musgraves and Ashley Monroe, with whom he’s toured as an opening act. Ryan Beaver will hit the road with Lee Ann Womack later this month, with additional tour dates to follow.